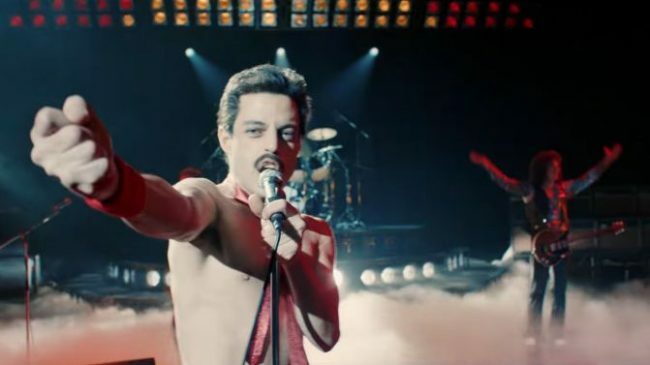 China released the Oscar Winning biopic about Freddie Mercury “Bohemian Rhapsody” on March 22, 2019, with over two minutes of the film about Mercury’s sexuality and diagnosis with AIDS were censored. Several scenes from “Bohemian Rhapsody” were deleted or amended. Any implicit or explicit references to sexuality were removed. This included a major scene to the film when Mercury comes out as being gay to his girlfriend. Other scenes which were removed were a close up of the crotch of Mercury while performing, Mercury’s interaction with his lover Jim Hutton, and an entire scene of Queen filming their music video “I Want To Break Free” was removed. The video shows the band dressed up as women. Instead, the movie skips to MTV banning the music video and Queen’s reaction, which is confusing. Also removed was a scene showing Mercury’s manager Paul Prenter kissing the singer forcefully. Chinese censors passed a law in 2016 banning from television, movies, and online shows portrayal of sexual behavior considered abnormal. This included lesbian and gay relationships. Despite the censorship, the LGBT community have said the release of the movie was a victory, as only a few Western films are screened in China yearly. Chinese LGBT activist and documentary filmmaker Fan Popo said it was dangerous to think that the release of “Bohemian Rhapsody” was a win. He said that everybody thinks a victory is releasing “Bohemian Rhapsody” with removed content a victory, then this would permit the world to bow to authority, the interests of the viewing audience will not be protected, and those who create the film will not be respected. Over 50,000 people wrote reviews on Sina Weibo, the Twitter of China. Many said that by having scenes deleted, it was half guessing and half watching the film. Others were happy “Bohemian Rhapsody” was released. In 2001 China removed from their list of mental disorders Homosexuality, and it is no longer considered illegal. However, discrimination, government crackdowns, and prejudices remain.